and much more to Los Angeles residents. and home safety inspection. It’s all free. We’ll provide up to five smoke alarms, one carbon monoxide detector, and share fire safety education with you and your family. in the event of a fire in your residence. And nobody had a working smoke alarm in their home. if you have working smoke alarms in your home. 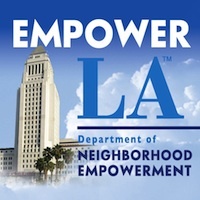 MySafe:LA, working in collaboration with the Los Angeles Fire Department, will also provide you with a free family escape plan template and show you how to use it. before deadly smoke may overcome you.